The Fiat Doblo is the best van for passing the first-three-year MoT, according to Government figures obtained by Honest John Vans. The Fiat panel van is the best by far when it comes to breezing through the first MoT, with 84 per cent of vans registered in 2013 passing the test in 2016. In second place is the Ford Ranger with 81 per cent passing, while the Toyota Hilux is third with an average first year pass rate of 80 per cent. What are the UK's best vans for passing the first MoT? 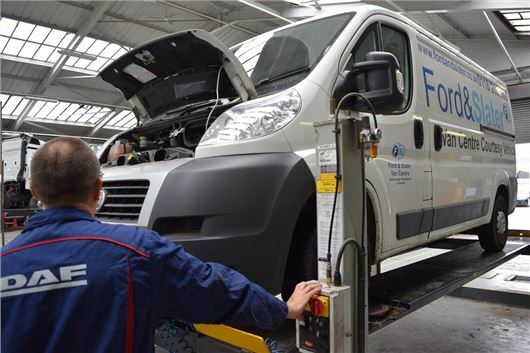 But one of Britain’s best-selling vans, the Ford Transit, is the UK’s worst for passing the first MoT, with just 64 per cent of vans registered in 2013 passing in 2016. Pass rates for the Citroen Dispatch, Vauxhall Movano and Citroen Relay are also disappointing. The van website analysed millions of MoT records from the Driver and Vehicle Standards Agency (DVSA), as HonestJohn.co.uk published the MoT Files for the first time in three years, following a Freedom of Information (FoI) request and a protracted fight with the DVSA to make the data public. On average, almost 30 per cent of vans will fail the first MoT, with lighting, brakes and tyres among the most-common failure points, which will cause worry for motorists as the Government pushes ahead with its consultation to extend the annual roadworthiness test for vans from three to four years.